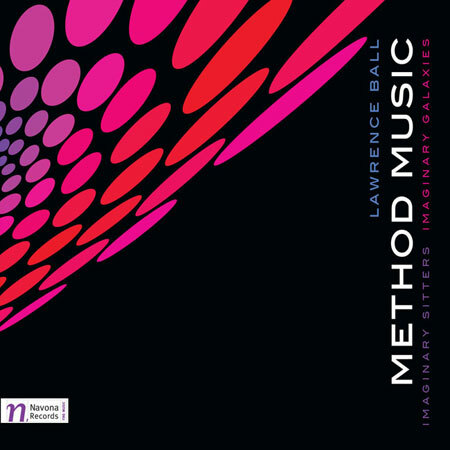 Upon first listen to Lawrence Ball’s Method Music, it should come as no surprise that Pete Townshend was the producer, as the beginning of the first track employs that repetitive organ part from The Who’s 1971 hit song, “Baba O’Riley.” Interestingly enough, said part was actually influenced by early minimalist Terry Riley, hence the song title. The method to all of the madness in Method Music hinges around the use of The Who’s Lifehouse Method, a web site active back in 2007-2008 on which visitors, by entering their personal vital statistics, could generate their own custom music, and a computerized compositional system created by Lawrence called Harmonic Maths. What it all amounts to on disc one of this two-disc set is 11 peppy, complex ditties delivered to your eardrums by way of synthesizer occasionally supported by bass and drums. Packed full of busy, overlapping melodies, this music sounds way too synthetic for your average rock fan. Although it’s not bad, I would have preferred a more repetitive, minimal sound. I’m not sure who this music would appeal to–maybe fans of contemporary classical / academic electronic music. For something considerably different, let’s continue on to disc two. Although it’s comprised of some of the same music from disc one, plus a couple of Lawrence’s earlier compositions, you would never know, as it has been slowed down and reconfigured into three long tracks of gorgeous, shimmering, melodies. In my book, disc two alone is worth the price of admission. For his next project, I’d like to see Lawrence Ball collaborate with Lawrence Welk, Lucille Ball and Ernie Ball on some kind of schmaltz / comedy / rock hybrid. Wait a minute, that might be kind of difficult, as all of those people are dead! You are currently browsing the archives for the Lawrence Ball category.